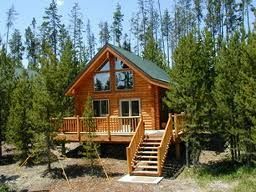 At the far eastern edge of Idaho is the fabulous Pines at Island Park resort, the perfect vacation getaway destination located just 25 miles from the western entry into Yellowstone National Park. 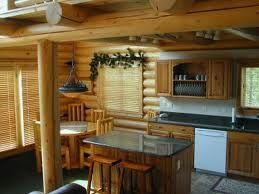 The delightful guest cabins are luxuriously furnished, the resort is surrounded by the majestic beauty of the Rocky Mountains, and the region is full of hiking trails, snowmobile routes, and picturesque viewpoints. Summer or winter, guests will find plenty to see and enjoy while relaxing in the fresh mountain air. These Idaho timeshares for sale are privately owned and are available to rent or buy on a discount here on the resale market. Guests can rent a timeshare stay directly with the existing owner, buy from that owner or, once purchased, exchange the week's ownership for a stay at another resort destination through an external exchange service. 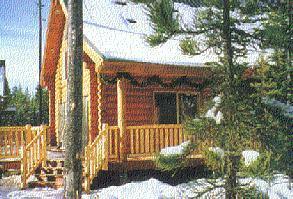 The cabins at Pines at Island Park vary in size and configuration. The smallest of these are one-bedroom layouts without kitchen, while the larger units are one-bedroom, two-bedroom, and three-bedroom with kitchen. The smaller one-bedroom timeshares have a master-sized bedroom with queen bed and a loft area with another queen bed. 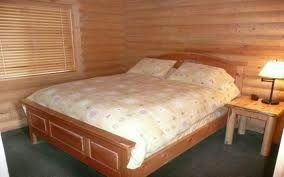 These units come with a full bathroom, satellite TV, and a private hot tub. The larger one-bedroom units feature a full kitchen. 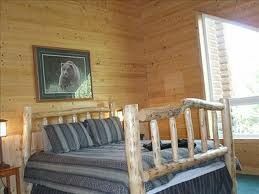 The two- and three-bedroom cabins feature a full kitchen, multiple queen beds, and TV with satellite reception. The three-bedrooms also have a master bedroom with a king bed as well as an outdoor Jacuzzi garden tub. 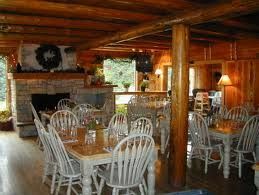 Guests at the resort can dine at the Lodgepole Grill at Philip's Lodge, a recently refurbished inn that dates back nearly 100 years. It's just a short drive to world-famous Yellowstone National Park, and also nearby are Grand Teton National Park, Jackson Hole, and several cross-country ski routes. Mesa Falls is another popular attraction, with the Snake River plummeting down the spectacular Upper and Lower falls. The Island Park Reservoir is a favorite destination for boating and fishing, with public boat launches located at the Buttermilk Campground and Island Park Dam. Regardless of the season, the Pines at Island Park resort is sure to please vacationing families and couples with one of these spectacular Idaho timeshares for sale. Contact Pines at Island Park Specialist Today!